Foreign Policy magazine reports Israel has purchased an Azeri airfield on Iran's northern border, prompting the U.S. to watch very closely. Foreign Policy magazine reported in an exclusive piece this week that Israel has purchased an Azeri airfield on Iran's northern border, prompting the United States to watch very closely. Journalist Mark Perry wrote the Obama administration is monitoring Israel's relations with Azerbaijan, particularly its military ties. 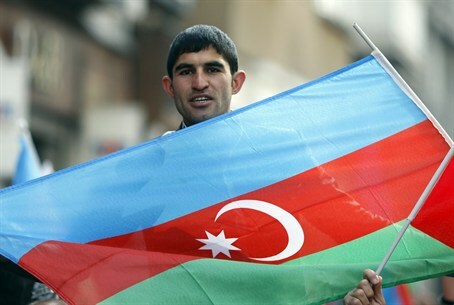 Israel has tightened up its relations with Baku over the past several years, helping Azerbaijan modernize its military with unmanned aerial vehicles (UAV) and becoming its second-largest customer for oil. In particular, the $1.6 billion Israeli deal to jointly manufacture 60 drones of various types with Azerbaijan infuriated Turkey, according to a retired U.S. diplomat quoted in the report. The IDF canceled a $150 million contract to develop and manufacture drones with the Turkish military after Ankara demanded an apology following the Mavi Marmara flotilla attempt to breach Israel's maritime blockade of Gaza. The Americans believe Israel may use the site as a springboard for an attack on Iran's nuclear plants, or as a landing and refueling spot following one. The site could also be used for aircraft needed for search, rescue and recovery in the wake of an attack. “We're watching what Israel is doing in Azerbaijan. And we're not happy about it,” an official told the Foreign Policy writer.